Photograph: Last month, Archives staff prepared a holiday brunch for our volunteers to show our appreciation. Volunteers enjoyed a ‘Christmas morning’, including brunch, games, and presents. As the Archives moves forward into a new year, we would like to thank the dedicated team of volunteers who continue to aid our organization. 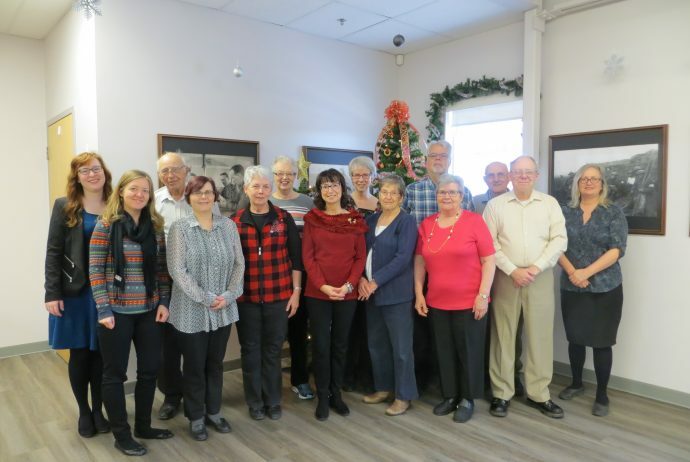 In 2017, South Peace Regional Archives volunteers contributed over 2000 hours of their time to collecting, preserving, and sharing the history of our area. Our volunteers are critical to the success of the Archives; without their help, many of our special events and projects simply would not be possible. We truly appreciate the hard work of each and every one of our volunteers- thank you!